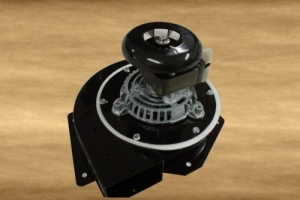 The exhaust fan motor is probably the most common replaced part on a pellet stove. Although it comes complete with housing, in most cases you only use the motor with fan and gasket. Simply unscrew 6 screws from the left side of your pellet stove, take old motor out, remove new motor, fan and gasket from housing and replace. 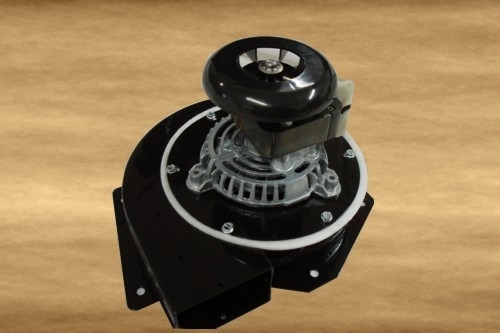 This exhaust fan Motor is probably the most common replaced part on a pellet stove. Although it comes complete with housing, in most cases you only use the motor with fan and gasket. Simply unscrew 6 screws from the left side of your pellet stove, take old motor out, remove new motor, fan and gasket from housing and replace.